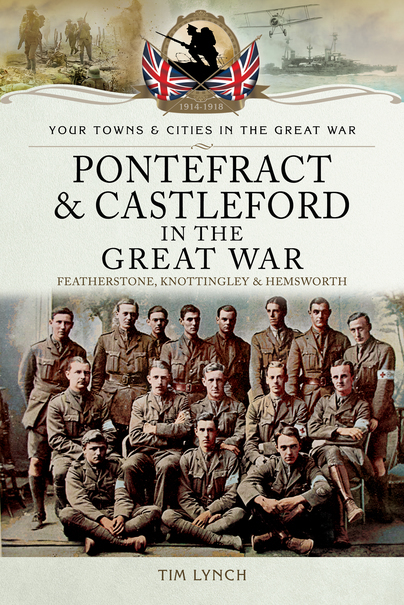 You'll be £5.20 closer to your next £10.00 credit when you purchase Pontefract and Castleford in the Great War. What's this? By the end of 1914, 15,000 Yorkshire miners had volunteered for the army, with around 1,000 from a single Castleford pit. Over the next four years these courageous men would write home from the killing fields of France, Gallipoli, Italy, Mesopotamia and Africa. As the men marched away, the families they left behind were about to experience a war that reached into every home, touching every man, woman and child in the country. This was total war. Local women – some still teenage girls – faced the gruelling hardships and dangers of munitions work. Some would die for their country. Former male pupils at the Quaker school struggled with their consciences. Some would fight, some would serve in the front lines as ambulance men and others would go to prison for their beliefs. Using original material, diaries, letters and newspaper reports, this enthralling book tells the fascinating and largely forgotten story of the Great War at home. Covering the terror of Zeppelin raids and anti-German rioting, foreign refugees, a story of true love among the gentry, the vexed question of whether bookies were essential war workers and tales of heroism at the front, here is the war as experienced by the dedicated people of Pontefract and Castleford. Tim Lynch is a member of the Guild of Battlefield Guides and the Historical Writers Association, specializing in the social and military history of the twentieth century and currently working with community groups on a variety of commemorative projects linked to the Great War centenary. He has written widely on the Great War, has published eight books and is a regular contributor to magazines in the UK and US.